The Townsville City Deal will improve the lives of Townsville residents through job creation, economic growth, investment in local infrastructure, a revitalised urban centre, and a more vibrant and liveable city. The City Deal is a 15 year commitment between the Commonwealth Government, Queensland Government and the Townsville City Council to work together to plan and deliver transformative outcomes for Townsville and its residents. The economic gateway to Asia and Northern Australia. A prosperous and lifestyle rich city for its community and visitors. Capital of North Queensland - Build on the unique advantages of the city and continue growing Townsville as a place where people want to live and work. Industry Powerhouse for the North - Establish Townsville as the preferred location in north Queensland for industrial development of regional, state and national significance. 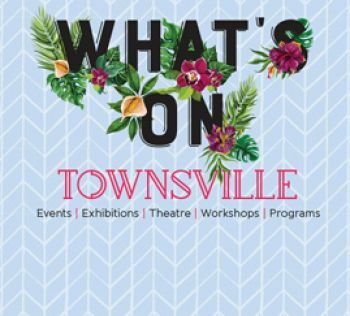 Innovative and Connected City - Attract new employment and diversify Townsville’s economy by building on natural advantages, embracing digital solutions, using the sharing economy and developing an appropriately skilled workforce. For more information visit the Smart Townsville strategy here. Defence Hub - Improve visibility for local businesses about defence industry investment in Townsville to encourage involvement. Port City - Continue to grow the Port of Townsville as a key import and export gateway to service freight demand across northern Queensland. Enabling Infrastructure - Successfully accommodate growth now and into the future with a reliable and secure energy and water supply. The Implementation Plan for the Townsville City Deal was released on 24 April 2017. The Implementation Plan identifies how commitments under the Deal will be delivered over the next five years to boost confidence for industry and investors, create more jobs and stimulate a more diverse economy. Visit the Townsville Water Security Taskforce website for more information.